Back in the early part of November of this year, I covered a pre-release version of Vembu BDR Suite v4.0, entitled, Backup and Protect Hyper-V Clusters with Vembu BDR Suite v4.0. The newest version of Vembu BDR Suite has powerful new functionality for Hyper-V environments who want to protect production workloads running in Hyper-V cluster environments. With the new version of Vembu BDR Suite v4.0, customers can now fully protect those workloads running in a Hyper-V cluster configuration. This takes Vembu to the next level for protecting workloads running across the landscape of the enterprise as most are running inside either VMware vSphere or Hyper-V running in a cluster configuration. As of today, this functionality moves out of beta release and into GA! In this post, we will take a look at Vembu BDR Suite v4.0 Released GA Installation and New Features to examine the Hyper-V cluster functionality a bit closer as well as take a look at a few other new features with this release. Additionally, Vembu BDR Suite v4.0 touts improved scalability, faster restores, and better management. For those customers that are running Hyper-V for production infrastructure, or any other mission-critical infrastructure platform, running Hyper-V in a cluster configuration is highly desirable over running standalone Hyper-V hosts for the same reasons as you don’t want to run production workloads on standalone VMware ESXi servers. Running Hyper-V clusters allows having all the enterprise high availability features that allow for creating highly available workloads that are able to withstand a host failure, provide load balancing between hosts, and mobility of production virtual machine workloads. Hyper-V clusters get you resiliency and high-availability. Providing support for Hyper-V clusters is critically important for data protection since workloads may be running on any number of hosts in the Hyper-V cluster and may move between hosts between backup iterations. Having a data protection solution that is “cluster-aware” allows the solution to interact with the hosts at a cluster level which means it becomes aware of the virtual machines by the cluster name instead of the backup jobs being pinned to a particular host for each subsequent successful backup. By allowing customers to now have the cluster-aware capabilities, Vembu BDR Suite v4.0 becomes a now fully-capable solution for those serious about protecting their Hyper-V workloads with Vembu BDR Suite. This truly allows Vembu to compete in the Hyper-V data protection space. One of the key aspects that I have seen get better and better with each subsequent release of Vembu BDR Suite has been the installation process for the solution. Vembu has really streamlined the solution to flow much better and provide additional automatic configuration to get up and running quickly. With the Vembu BDR Suite v4.0 installation, if you choose not to customize any of the configuration, the installation of the product is very much a “next, next, finish” process. The installation UI has been updated and the screens flow very nicely. In the lab environment, I am installing the Vembu BDR Suite v4.0 installation inside a Windows Server 2016 VM with a secondary drive for use as the main storage pool for testing. The redesigned UI looks nice and once again, the installation proceeds very quickly, allowing you to get to the point of logging into the web console in just a few minutes. Login with the default admin/admin credentials. 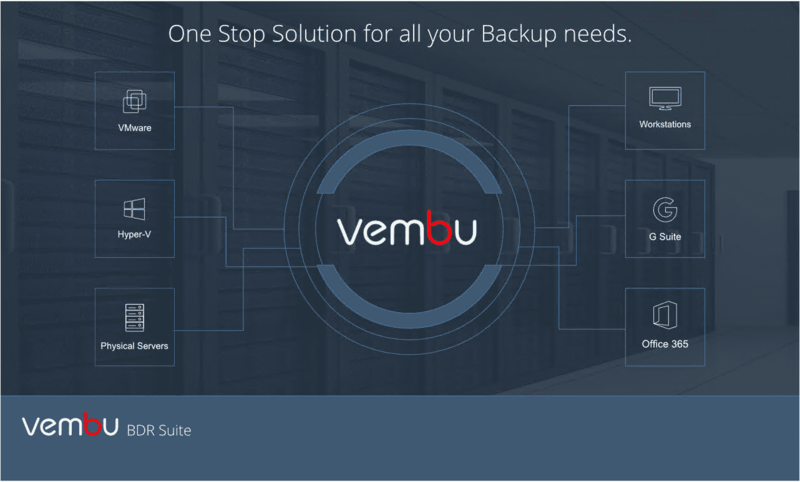 Vembu has also streamlined the workflow of the initial configuration in that you are prompted to configure your backup storage right from the start. After you login for the first time, you will be taken to the Storage Pool configuration. From here you can click to configure your Storage Pool. This allows choosing the drives to be used as part of the pool. After configuring the storage pool, you can then begin creating data protection jobs, including backups of Hyper-V clusters. 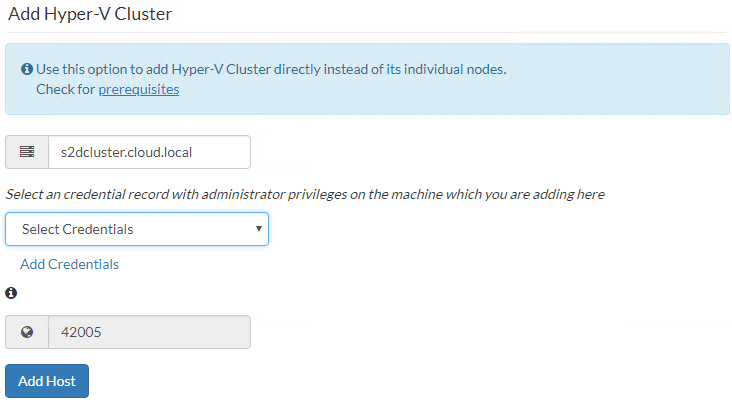 Notice below, you now have the option for both Hyper-V Cluster and Hyper-V Server (Standalone). After stepping through the configuration for credentials, etc, the Hyper-V Cluster is successfully added to Vembu BDR Suite v4.0. Incidentally, the Hyper-V Cluster added was a Windows Server 2019 Storage Spaces Direct Cluster. This new configuration added without any issues. Shared VHDX backups – In Hyper-V, VHDX files can be shared between virtual machines such as in the case of guest clustering Windows Server clustering. With v4.0 shared VHDX backups are now possible. Hyper-V Checksum Based Incremental backups – Vembu has introduced a new checksum based incremental “changed block tracking”. New and Improved Credential Manager – The Credential Manager functionality has been improved, allowing more efficient management of credentials used to connect to virtual machines. Newly added disks are automatically added to backups – Any disks that are added to a virtual machine will be detected and automatically added to the data protection in the backup job. Separate reports for VM Recovery operations – More granular reporting on the VM Recovery operations. Live Recovery to VMware allows Live editing the resulting VM specifications – The VM created can be edited beforehand so that CPU, memory, etc can be changed. Vembu now allows reconnection attempts for network failures during a backup job – The job will attempt to reconnect in case a network interruption occurred during backup. New APIs and capabilities – New APIs and capabilities allow querying for storage information, etc. 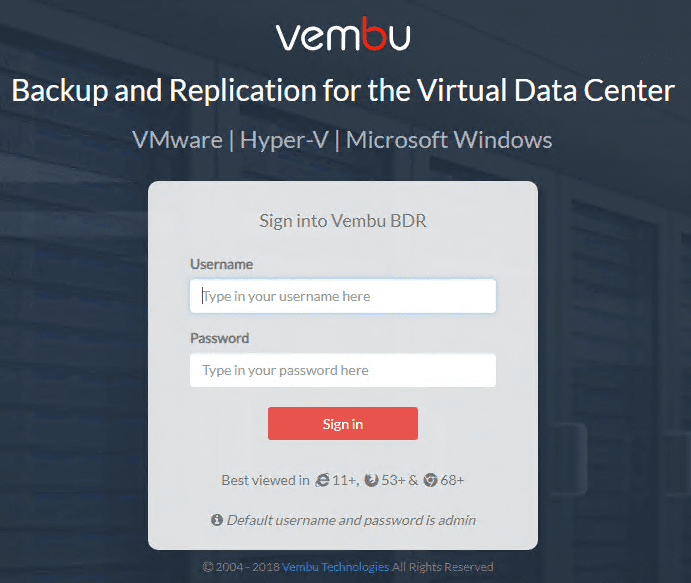 This is certainly the best Vembu BDR Suite to date and provides many powerful new features, first and foremost is the ability to backup Hyper-V Clusters. As shown in Vembu BDR Suite v4.0 Released GA Installation and New Features, the installation process is extremely easy and intuitive and allows you to quickly get up and running with a basic configuration in just a few minutes with an existing Windows Server virtual machine in place. As shown in this walk through the new functionality had no hiccups connecting to and adding a Windows Server 2019 Hyper-V Cluster running storage spaces direct storage. Vembu has made some exciting strides over the last few releases. It provides one of the best, cost-effective solutions for the capabilities and features contained in the product. Those running Hyper-V Clusters in production will certainly be excited to have a supported backup solution, able to protect business-critical workloads running on top of Hyper-V. Be sure to check out Vembu BDR Suite v4.0. You can download a fully-featured version of Vembu BDR Suite v4.0 to test out all the features and capabilities of this really powerful data protection solution.